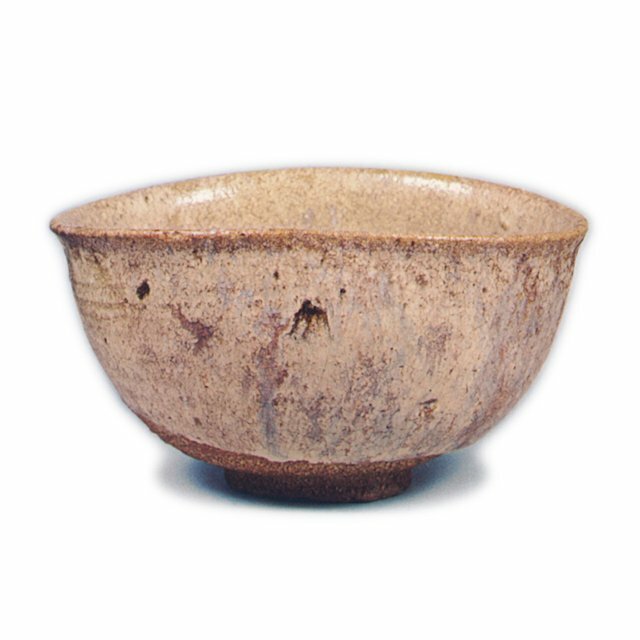 Madara (mottled) Karatsu teabowl, late 1500's. 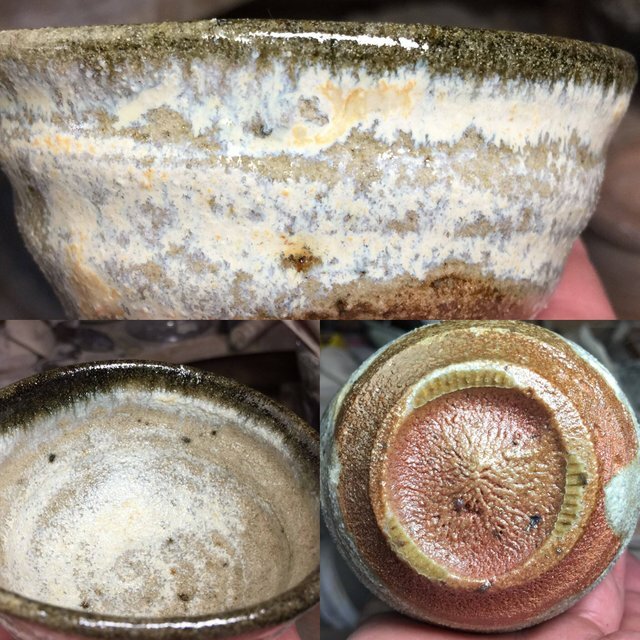 When I decided to learn and make Karatsu ware, I had no idea what I was getting myself into. 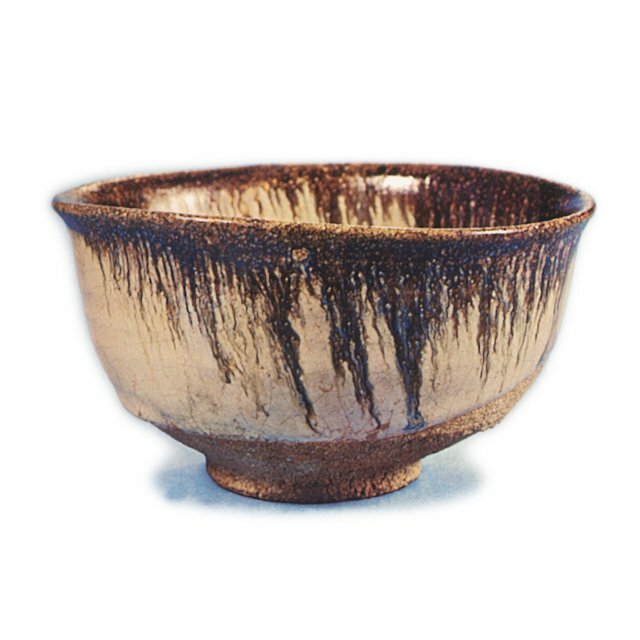 I knew it was several hundred years old, and the first glazed ware in Japan, but I mostly just saw some beautiful pots and thought I could reproduce. Boy, was I wrong. I've been working at it for more than 10 years now, and the clay, glazes, and firings are still mostly a mystery. Trying to capture the look of the traditional ware is a continual challenge, forcing me to forget or ignore modern technology in favor of archaic, and examine 400+ year old shards, searching for clues about what the old potters and craftsmen used, and how they approached their art, which they didn't necessarily consider to be art. The closest I've come yet to a surface like the pot at the beginning of this post. 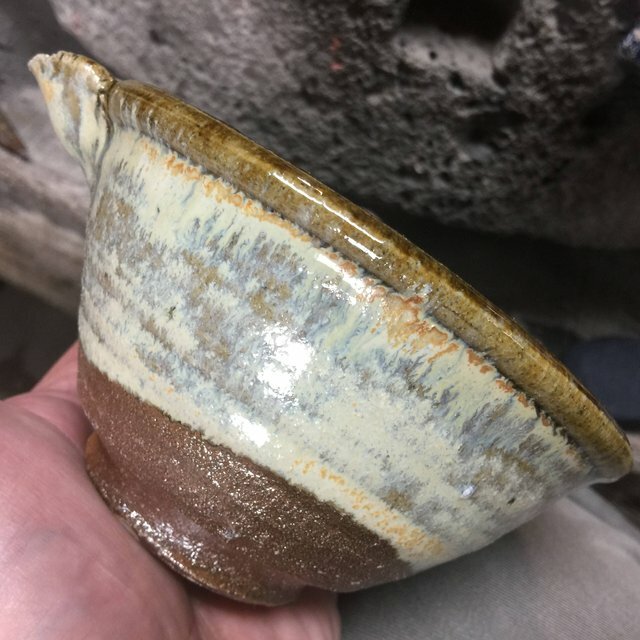 One thing I've learned in this time making pots is that despite the primitive technology, ancient potters had knowledge about their materials and handling of those materials that far exceeds the knowledge of most modern potters. This is what makes tradition such an important repository for us. It is the best of what has come before, proven over time and distilled for us to use. We just need to pay attention. Making attractive, cool, useful stuff out of dirt since 2006. Wow very cool @karatsupots! Very good of you to try out and make a pot. Tradition is very important and sometimes new technologies aren't as great as the things that is made in a traditional way. Last week I was looking at videos how they make pottery on a wheel. It gave me a relaxed feeling to watch these videos. Hope making Japanese pots gives you also a relaxed feeling :-). Yes! I think we modern humans tend to dismiss the intelligence of those who came before, just because of our technological superiority. They knew so much that we have forgotten. Yep, totally true. But now we are in the position to discover how things were done on the traditional way and later we can give our knowledge to our children and the next generations. And with any luck, add something new along the way! Very interesting, yes we need to pay attention !